As I mentioned in a previous article I had never heard of Robinson Armament before this year. After a little research I am glad I finally got my hands on one. The Robinson Armament XCR was developed in 2006 to meet the requirements of The United States Special Operations Command SCAR Contract. At the time SOCOM wanted a family of Special Operations Forces Combat Assault Rifles, the so-called SCAR, designed around two different calibers but featuring high commonality of parts and identical ergonomics. The winner of that contract went on to be commonly know as the SCAR. The XCR is a completely original design. 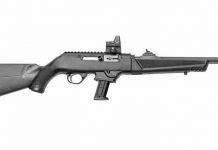 Robinson Armament borrowed ideas from the best rifles and improved on them. The action is a lot like an AK, easy to operate and a very reliable gas piston system. The grip and feed system are very much like the AR-15. If you are used to running an AR-15 or one of its variants magazine changes will be intuitive. Add the quick change barrel and you can have a reliable rifle in a plethora of calibers that seems to conform to you. 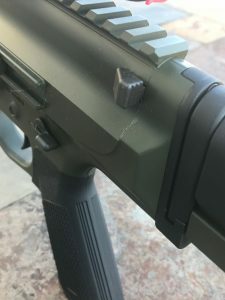 Speaking of barrels, Robinson armament fired a full power round through a barrel which was obstructed with several squib loads and came out smiling. It can even shoot while full of water. Take down is performed by the push of a small button on the upper portion of the receiver. Upon disassembly the first thing you will notice is a very robust three lug bolt and ejector. The barrels are chrome lined and easily swapped out with the turn of just one screw. I have AR-15’s, bolt guns and AK-47’s, knowing this my wife asks why I need another rifle. In her mind the XCR can fill the roles of most of my other guns. She is right. If I could only have one gun the XCR-M would be at the top of my list. It is portable and accurate. It is chambered calibers capable of penetrating light masonry, wood, and level 3 body armor. It can be used for hunting, survival, and excels in the designated marksman rifle category which is the role I chose for my XCR. The XCR-M is very popular in Canada where it is unrestricted unlike the AR-15. Canadian residents can own and enjoy shooting their XCR’s just like us Americans. The 3-Gun crowd is giving the XCR glowing reviews in reliability. They are saying the XCR is more reliable than the AR-15 platforms being used. My XCR-M will be put to the test in the Precision Rifle Series next year and should yield some pretty impressive results. Recent tests at the range proved Robinson Armaments quality and accuracy have only gotten better as the company aged and grew. My best shot groups in .308 win were 5/8moa using factory loaded Lapua Scenar 155gr HPBT. That’s pretty impressive for any gun let alone a semi-auto gas gun. 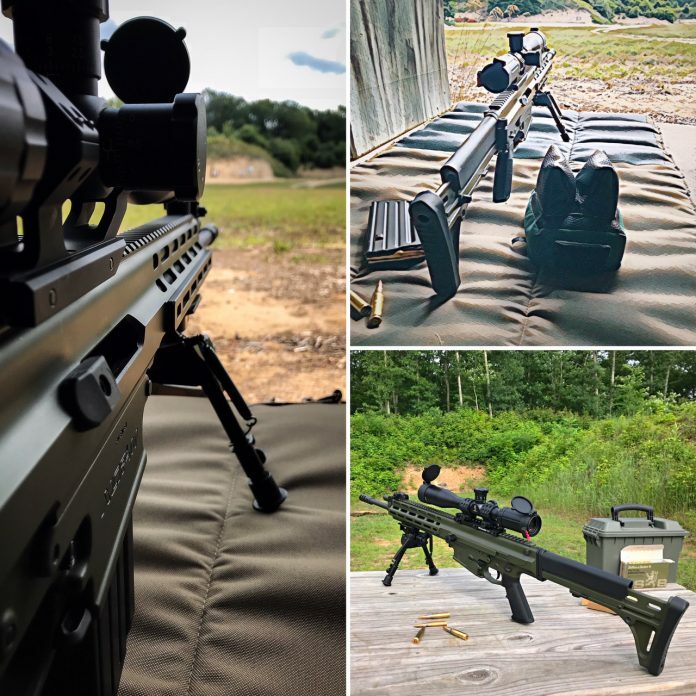 For more information about the range testing see the article titled “Robinson Armament XCR-M: Zeroed In“. The Robinson Arms XCR-M weighs between 9 and 10 pounds. That is average for most battle rifles. Take a close look at one and you will see why its in that 9 to 10lb category. The main body of the XCR is one piece aluminium monolithic rail and receiver. The stock is adjustable and fold-able made from aluminum. With a quick turn of the adjustment screw the stock stays in position with no play. The XCR comes standard with flip up sights. 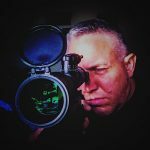 I chose to mount a scope on mine as I want expect it to hit targets consistently out to 800m. I put the XCR-M up side by side with the FN SCAR 17. Both rifles are chambered in .308win. Coincidentally the FN was the winner of the SOCOM contract. It is lighter than the XCR, has many of the same features, but to me the XCR-M feels more solid. FN used a lot of polymer to keep weight down which I think makes it feel a little cheaper. One of the greatest features of the XCR is its ability to change calibers easily, unlike the FN. The Robinson Armament XCR-M out shot the SCAR on the 100 and 200yd ranges. One thing I would like to see improved on the XCR is their options for triggers. The standard trigger works and feels great, however in the marksman role I would like to see a lighter, crisper feel to it. 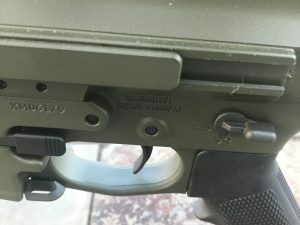 Standard AR-15 triggers do not fit the XCR so the only options are to have a gunsmith modify it or send the gun back to Robinson Armament for an upgrade. Don’t expect to walk into your local gun shop and put your hands on one. A quick look on their website shows only 21 dealers in the United States. The closet one to me is a 3 1/2 hour drive each way. The best way to experience Robinson Armament is through their website. Robinson Armament makes customizing and purchasing their firearms easy. They make sure yours does not look like every other gun at the range. The process is just like ordering a car online. You pick the color, barrel length, profile and caliber. They also let you pick your muzzle brake, gas system, and whether you want M-LOK or Key Mod for your forearm. Once all of your options have been selected the production process begins. 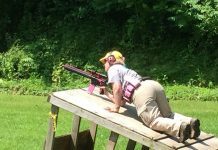 Robinson Armament may be the newer kid on the block but they are quickly making a name for themselves. I can’t wait to get my hands on one of their pistols. Now I just have to decide if I want it in 5.56 or .308. They say XCR stands for “eXchangeable Caliber Rifle” After shooting my XCR-M I say it stands for “eXtremely Capable Rifle”.